My grandma and grandpa had to uproot their family during the Depression in hopes of finding work. When they moved from Oakland to Salinas, my grandmother was like a fish out of water. She found friendship in her sister-in-law’s sister, Eva Nunes. The young mothers found common cause. There was a 40 year gap in their friendship. Genealogy brought them back together. Anna (Jackson) and Joao “John” Pacheco Smith were only married two days when the stock market crashed in 1929. It was bad enough that Anna was almost 6 months pregnant. Now there was economic uncertainty throughout the country. The couple was renting a small apartment in Berkeley, California. John worked as a machine operator. Anna stayed home to take care of the baby. Things weren’t going so well in Oakland. Work was drying up. John had trouble holding onto jobs. It was getting harder and harder to make ends meet. John’s brother, Jose, had been living in Salinas since his marriage to Minnie Ventura in the early 1920s. Agriculture work was readily available in the “Salad Bowl of the World”, a nickname it earned for the increased production of lettuce. The Smith’s decided to pack their bags and head to rural California. No doubt Jose enticed John and Anna to make the move. Anna was very much a city girl. She lived in Oakland most of her life, with the brief stint in Berkeley. Though her family was not wealthy by any means, she used to certain things like indoor toilets. She was not prepared for things like turkeys sleeping in trees. John did farm work. Anna helped out at a beauty salon cleaning up after customers. She left behind all her friends and family. She did have her in-laws, Jose and Minnie (Ventura) Smith and they introduce her to the relatives who lived in the area. Though there was a 5 year age difference, she became fast friends with Minnie’s sister, Eva. Anna and Eva had something in common. Eva was married a year before Anna and they were both new moms. 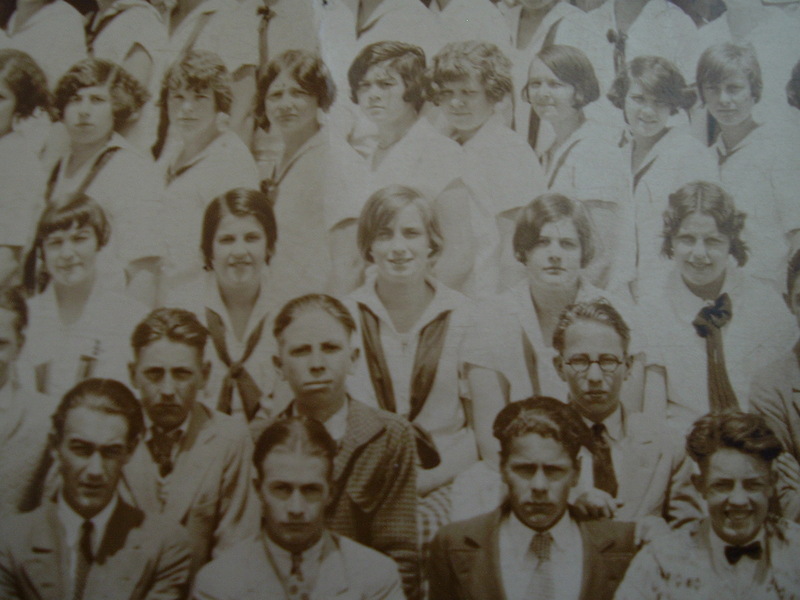 Eva had her first in 1928 and Anna in 1930. Anna and John lived in Salinas for a couple of years. Though my mom was born in Oakland, she spent her first year and a half in Salinas. 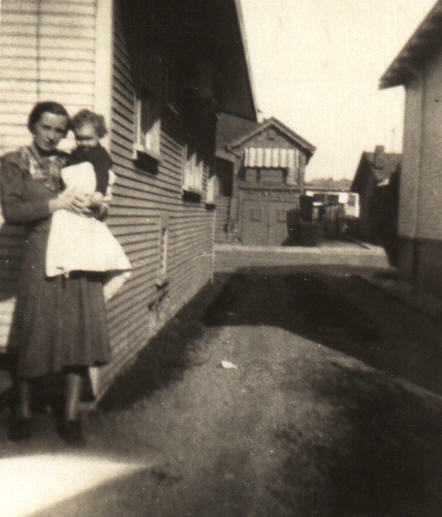 You can see the housing built for sugar beet farm workers in this photo of my grandma and my mom. It was taken in 1937. My grandma was 25 years old. In 1937, the job situation improved in the San Francisco Bay Area. John’s mother was ill and probably wouldn’t live much longer. They were being tugged back to their roots and decided to move back to Oakland. They rented the house at 1916 E. 25th Street where many of John’s cousins live. They were right next door to his aunt and uncle, Joao and Marie (Pacheco) Jacinto da Camara (aka John and Marie Cosma). 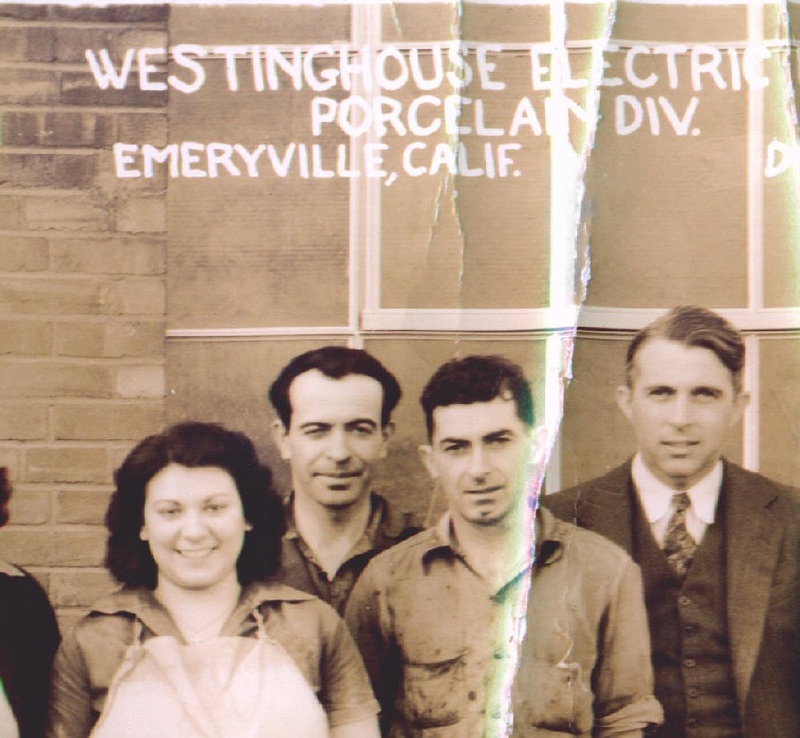 John got work at Westinghouse Electric where his cousin, Manuel Bonita Jr., also worked. This photo dated 1938 shows my grandfather in front and his cousin, Manuel Bonita Jr., standing behind him (not in the suit). Westinghouse was a major employer in the East Bay. Anna cleaned houses. My mom was still very young and not ready for school, so Anna took her with her. The Smith’s and the Ventura’s were very much in contact in the 1930s and 1940s. Not only did my grandfather’s brother marry a Ventura, but his cousins did, too! In early 1949, Anna and John split up. They divorced that same year. 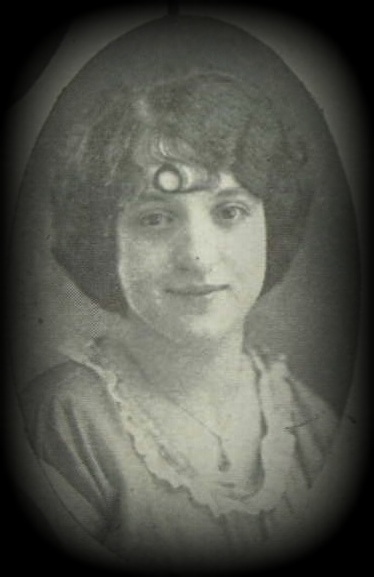 Minnie (Ventura) Smith died that same year of cancer. Although Anna kept up with her in-laws, the old ties were fraying. Her son went into the military and she raised my mom alone. She got work as an ediphone operator. They lived in apartments wherever Anna could afford the rent. Her sister-in-law, Maria (Souza) Correia always stayed in their lives, but the rest of the Pacheco clan was drifting away. Eventually, many of those ties were broken. She forgot about Eva and the Venturas. She moved on with her life. I started working on my family tree in the late 1980s. As with everything I do, I left no stone unturned. I found the names of living descendants of my tree and marry-in cousins. If I could find a mailing address, I wrote them! I found Eva (Ventura) Nunes from an obituary and learned she still lived in the same community some 40 years later. You know, I had to write her! Eva was in her 80s and was thrilled when she got my letter. She wrote me about the olden days including some hard truths about my grandfather that no one else would tell me. I will always appreciate the depth she added to my family history. Eva was thrilled to learn that Annie Smith was still alive. She wanted to get in touch with her. My grandma was fickle about the family tree. Some days she was all for it and other days it was like walking through a field littered with land mines. I was pleasantly surprised that she wanted Eva’s address. Eva and my grandma took it from there. How is it that a friendship that had withered some 40 years earlier could be reborn? The fact that they had a shared history that only they understood melted the uncomfortable gap that such a long period with no contact can create. They were able to enjoy each other’s company through letters and phone calls for another 10 years. Eva died in 1998 at the age of 88. Longevity. It’s a friendship that spans almost 60 years even if there is a 40 year gap. This was written for Amy Johnson Crow’s 52 Ancestors in 52 Weeks. The theme for week 3 is Longevity.